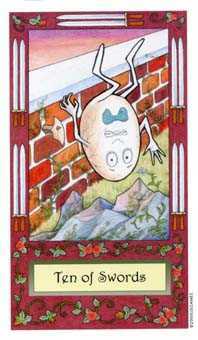 You are up against the wall, and it is appropriate to admit it. 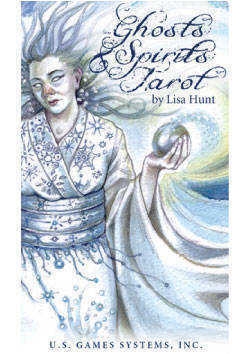 Ghosts & Spirits deck © U.S. Games Systems, Inc. 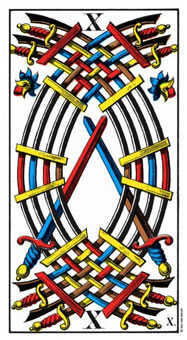 The Ten of this suit represents finality, the end of something. 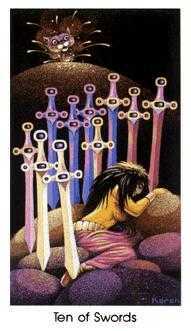 As is easy to grasp from the picture in many decks, there is no hope for revival here. 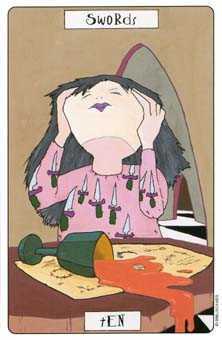 A limit has been reached, a line has been crossed and there is no turning back. 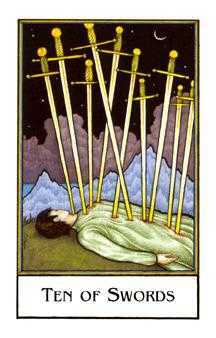 In some situations this may be felt as a tragic loss, but it often brings with it a paradoxical sense of release and closure. 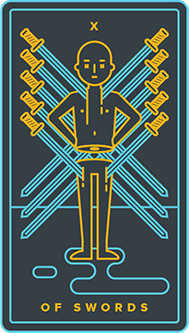 The waiting and wondering are over. 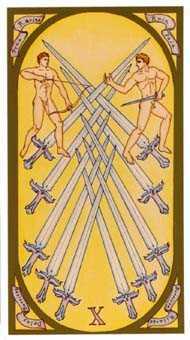 There is no more ambiguity. 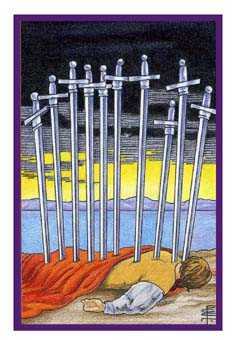 You can rightly let go and move on, as there is no more progress to be made here. 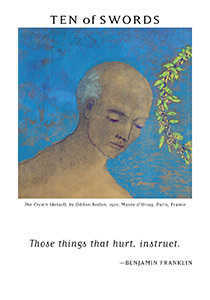 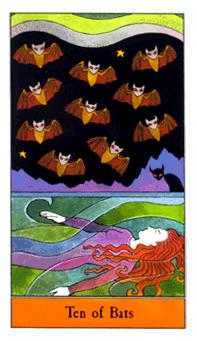 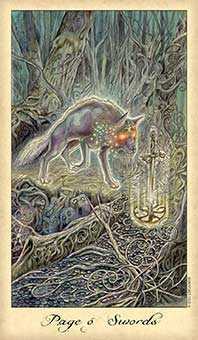 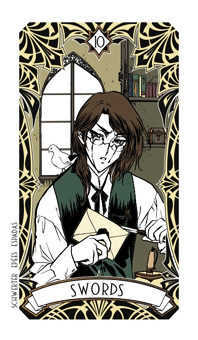 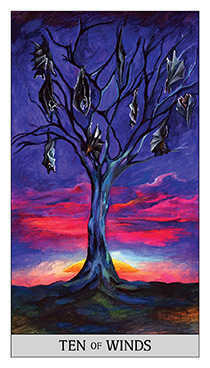 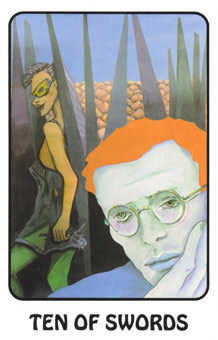 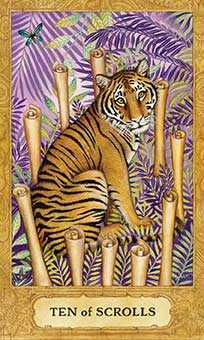 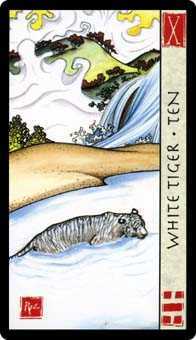 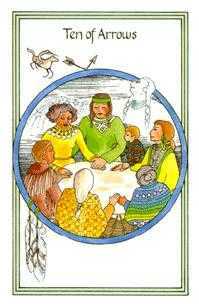 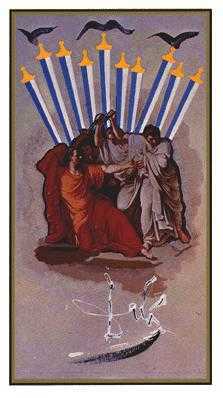 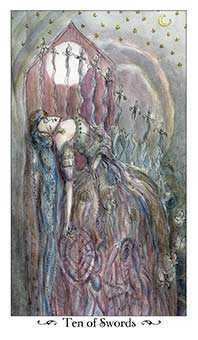 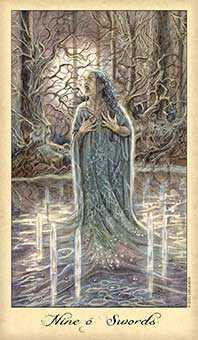 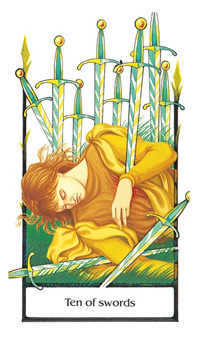 Emotionally and psychologically, this card appears when one is exhausted and used up, burnt out by the effort of caring and responding and trying to make a difference. 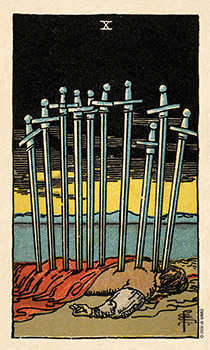 When a person feels this way, they have reached burnout and can no longer be held responsible for anything, and therefore can be forgiven for caving in or ceding the fight. 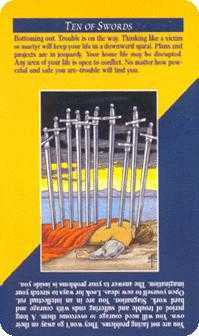 The simple instructions are: "Go no further along these lines!" 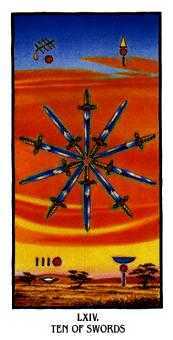 Protect yourself while the storm rages and focus on rebuilding after it passes. 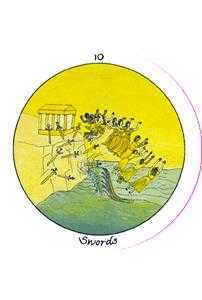 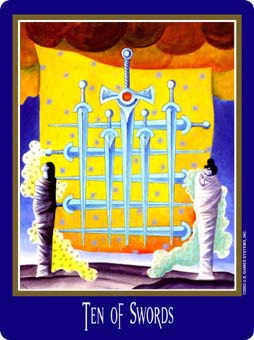 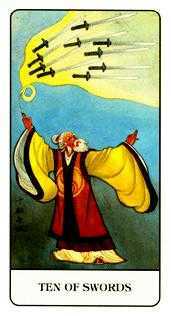 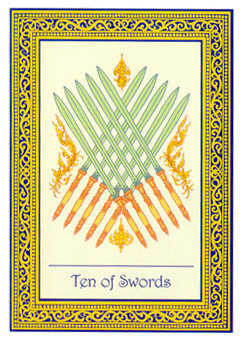 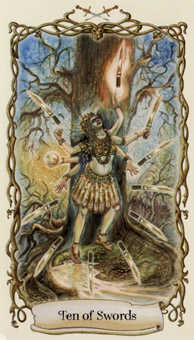 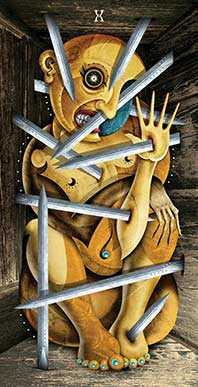 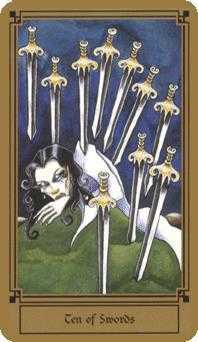 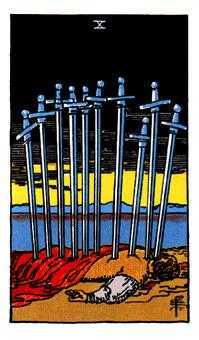 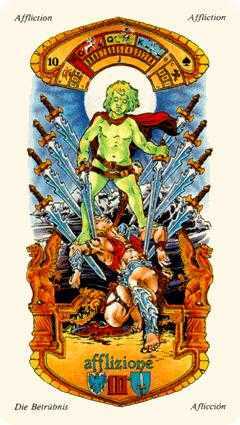 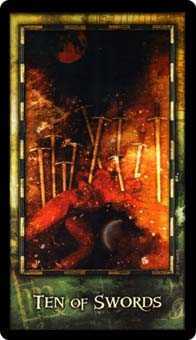 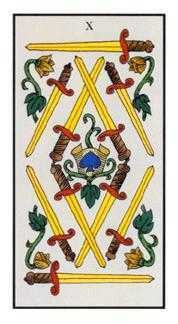 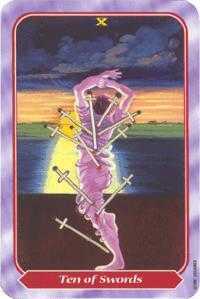 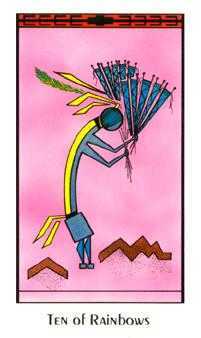 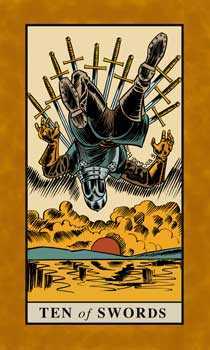 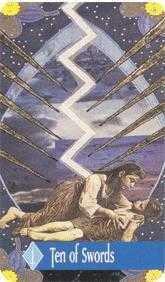 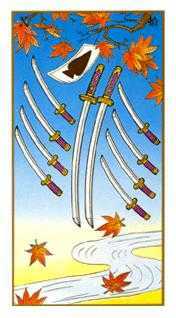 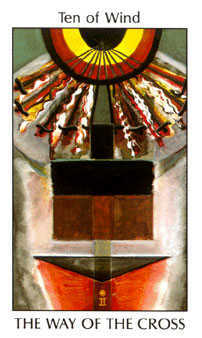 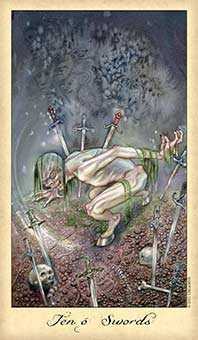 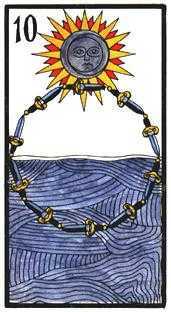 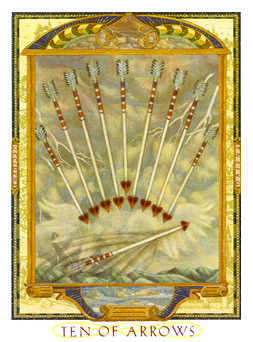 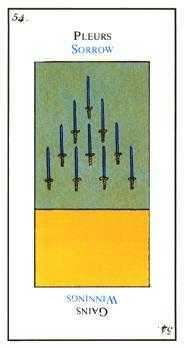 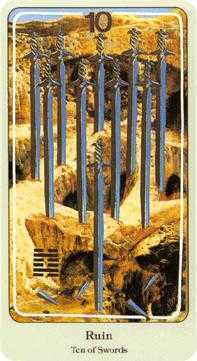 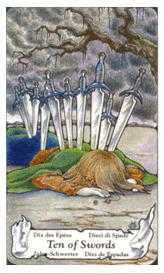 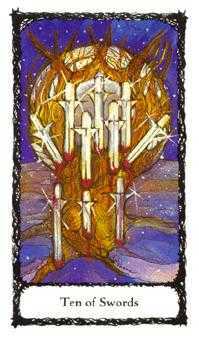 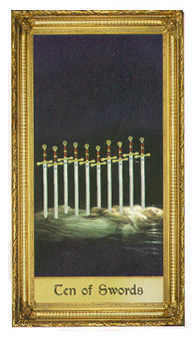 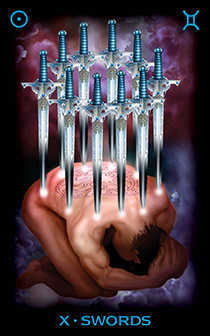 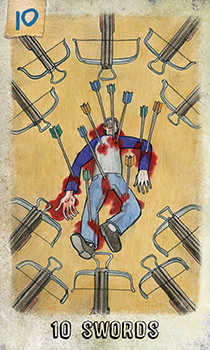 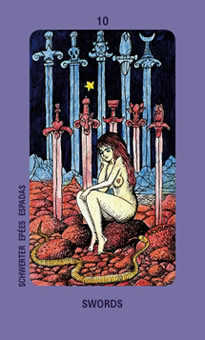 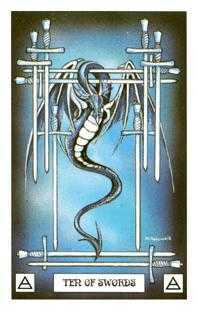 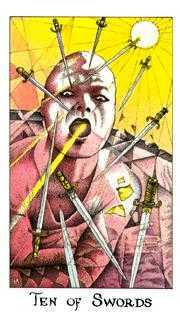 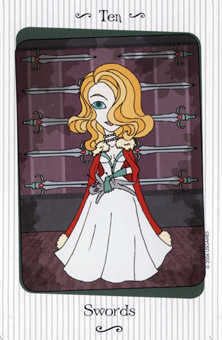 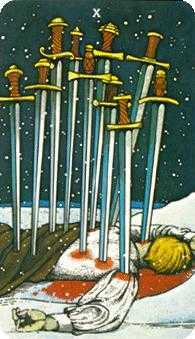 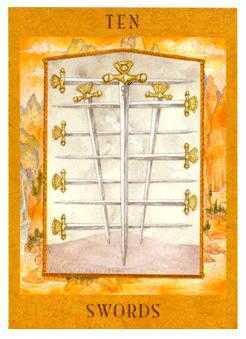 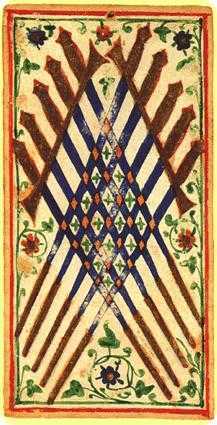 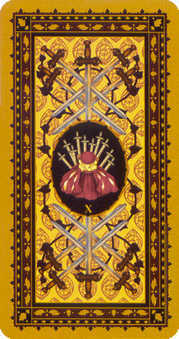 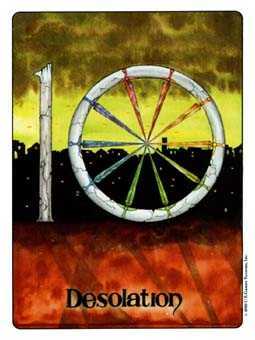 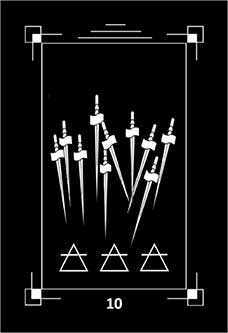 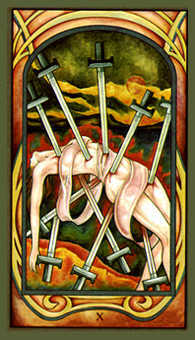 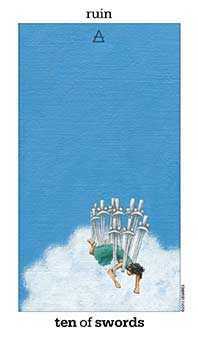 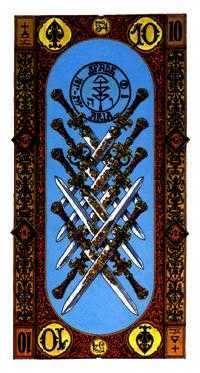 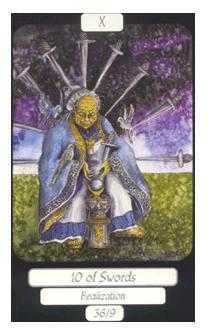 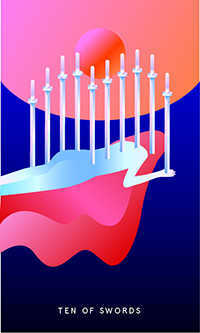 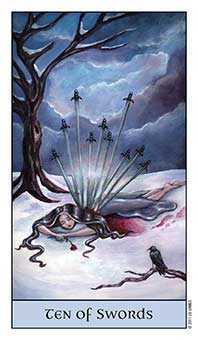 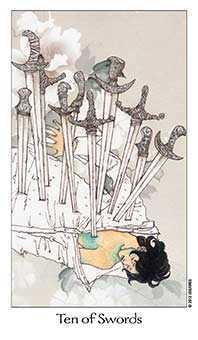 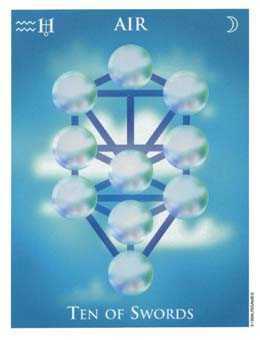 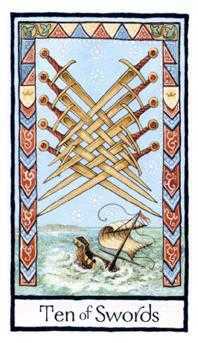 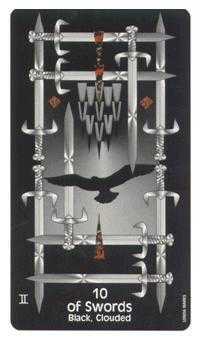 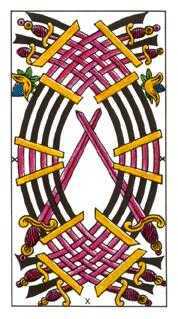 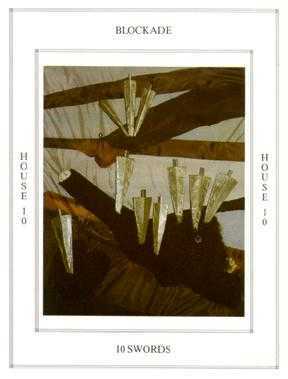 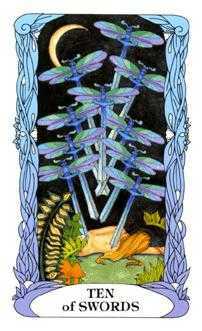 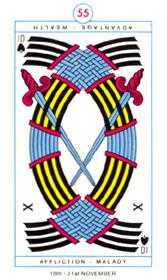 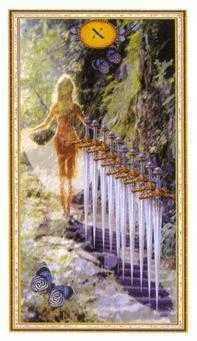 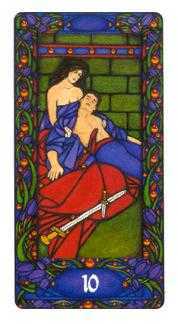 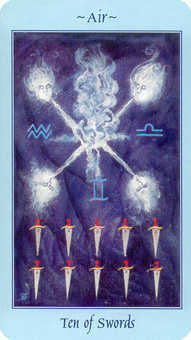 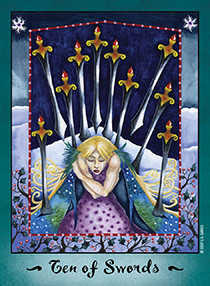 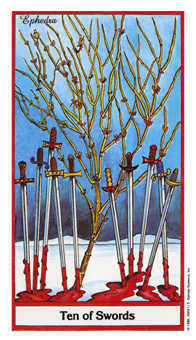 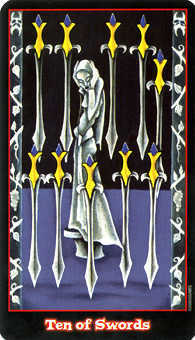 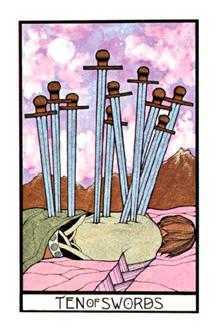 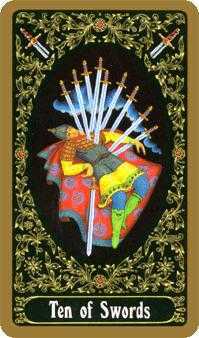 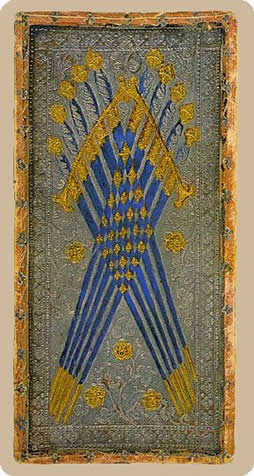 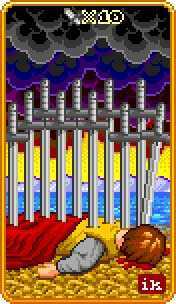 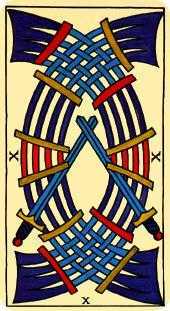 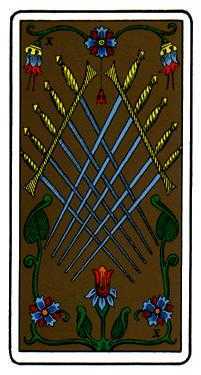 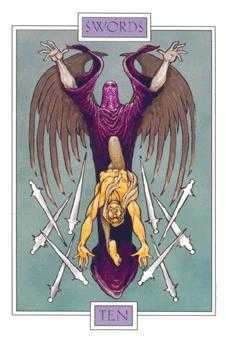 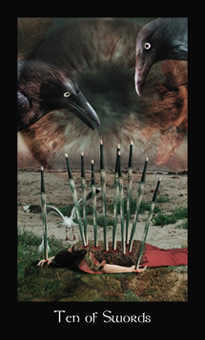 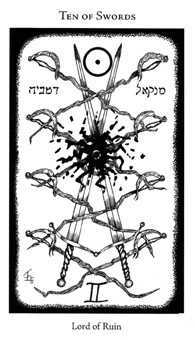 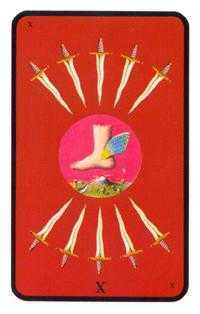 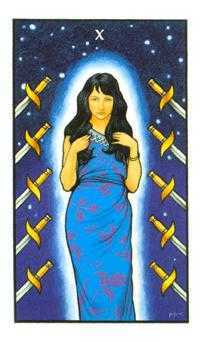 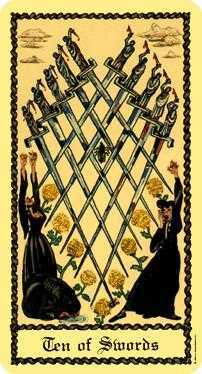 The Ten of Swords in this position advises that you lay low for a while. 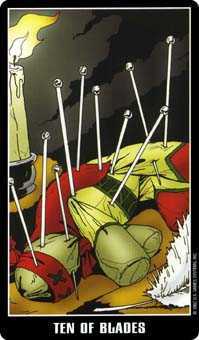 Don't make a move. 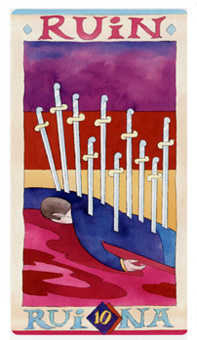 Keep yourself as safe as possible until the drama, even the possible trauma, plays itself out. 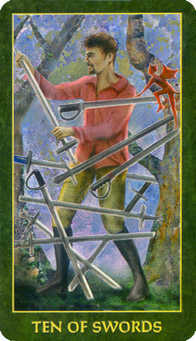 Once the turmoil dies down, then you can assess the damage and start to make repairs. 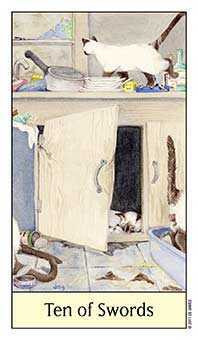 The situation can be compared to a hurricane moving through the neighborhood. 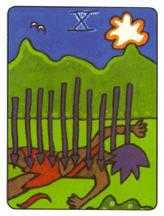 You can't be sure whether it is going to pass over a corner of the field or whether it is going to slam into your house. 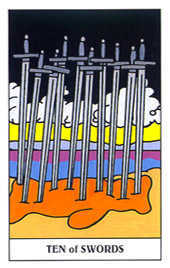 In the face of such unpredictability, protect yourself, hope for the best and wait it out. 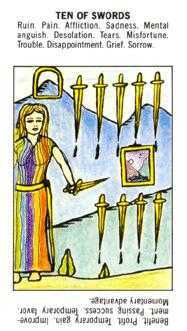 Sometimes, an extreme turn of events serves as a pressure relief valve for all the unexpressed and unresolved energy that had been building up. 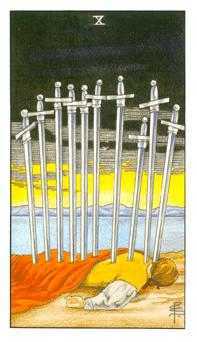 Trust the process even though things may seem pretty drastic right now.